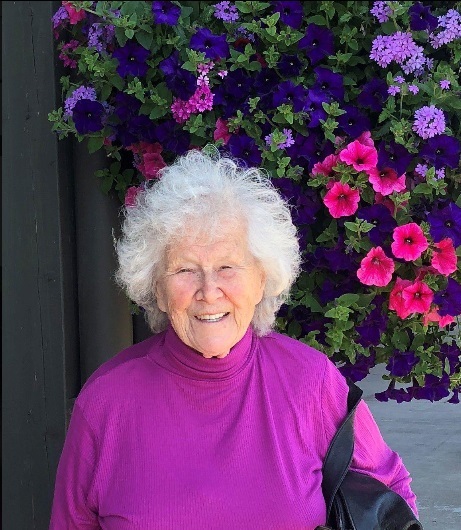 A celebration of life is planned for Betty Lammi Reeves, 87, at 3 p.m., Feb. 9, 2019, at the Eagles Club in Coos Bay. Friends, family, and all of her former students and parents of those students are encouraged to attend. A band Betty selected, Border Patrol, will be playing in her honor. So bring your dancing shoes. Betty passed away Dec. 6, 2018, surrounded by her loving family. She was brought into this world May 29, 1931, by parents Eino and Syrie Lammi in Clatskanie. Betty grew up on a farm producing eggs, peppermint, beef, and milk. Being a farm girl in Oregon helped her prepare for life. She attended Clatskanie Elementary, Clatskanie High School, Oregon College of Education, and later on the University of Oregon earning a Master’s degree in Education. She married and moved to Coos Bay. Betty brought three children into the world, Jeffery Reeves, Debra J. Falk, and Pamela Sichting. She raised her children in the Bay Area. Betty was very actively involved with her first love, her family. Her large family enriched her life and bought immense joy. Besides her three children, she had six grandchildren and nine great-grandchildren. She had a sister, Norma Sweeney of Eugene and was an aunt to nine family members. She will be dearly missed by all, as she was the inspiration with mighty broad shoulders that taught us to work hard, pull ourselves up by the bootstraps, dance like no one is watching, laugh a lot, and love life. Betty’s second love was teaching elementary students for 30 plus years. She started her teaching career at Hillcrest Elementary and later on spent wonderful years at Eastside Elementary until she retired. She was a world traveler visiting multiple European, African, and Central American nations. Her love for visiting different cultures was brought into her classroom and shared with her students. She made a true difference in many of their lives, recognizing their potential and giving them the needed support to build their confidence. After retirement, Betty volunteered at CASA to promote children and their rights. Betty is survived by her son, Jeff Reeves and wife, Colleen Reeves of North Bend; daughter, Debra J. Falk and husband, Dave Falk of Eugene; daughter, Pam Sichting of Roseburg; grandchildren, Josh, Jared, and Lindsay Reeves and their families of North Bend, Lee, James, and Braton Jurasevich and their families of Eugene; and nine great-grandchildren. In lieu of flowers, the family asks that donation be made to the local school program of “Back Packs for Kids; backpacks filled with school supplies for needy children.